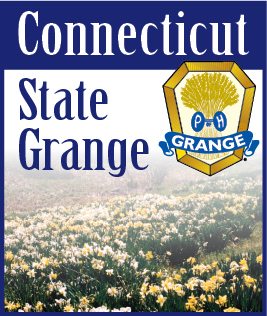 National Grange, the country`s oldest rural advocacy organization, will be giving each third-grader in the Springfield School District a free dictionary. On Tuesday the 250,000 member organization begins its annual convention in Springfield, Illinois. More than 800 Grange members are expected to attend the convention, which runs through Nov. 18. Monday morning, National Grange president Bill Steel and other Grange officials will visit McClernand and Dubois elementary schools to give away dictionaries. The organization also will leave behind about 1,200 dictionaries for the rest of the district`s third-graders. For the past four years, the organization has partnered with South Carolina-based The Dictionary Project, which has distributed free dictionaries to more than 4.6 million schoolchildren, mostly in the third grade, since 1992. "It`s a gift students can keep for a lifetime," said Bill Steel, president of National Grange, as he was crossing the Illinois- Indiana border Friday afternoon, heading toward Springfield on Interstate 74. "And it`s an easy thing for local Grange chapters to participate in." National Grange formed shortly after the Civil War to assist farmers. Since joining The Dictionary Project, it has sponsored the free distribution of more than 200,000 volumes across the country. During the 2005-06 school year, The Dictionary Project and its partners donated 40,903 dictionaries to Illinois children.